To visit cPanel, go to your domain name followed by :2083 in your web browser. You should see a login form like this. Enter your unique username and password. This information is sent to you in your account setup email when you sign up for services. 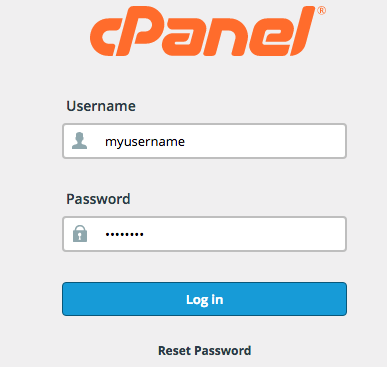 For more instructions on using all the features of cPanel, visit the documentation here.